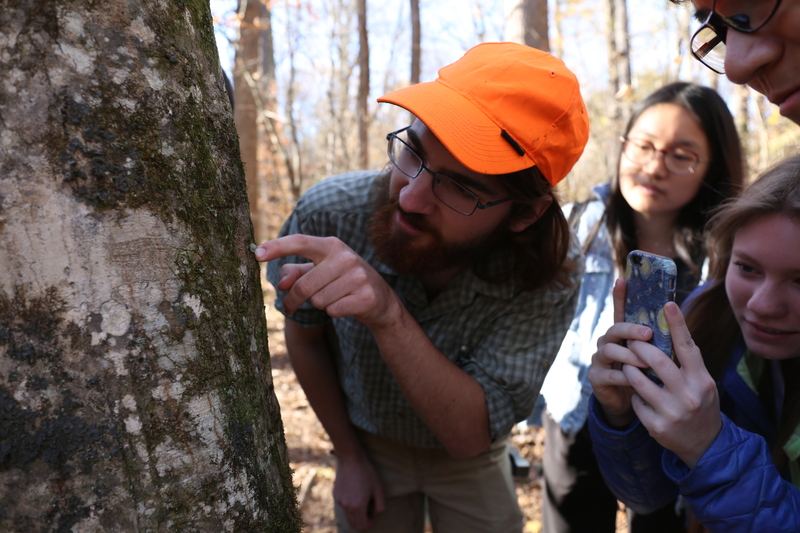 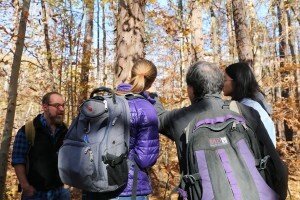 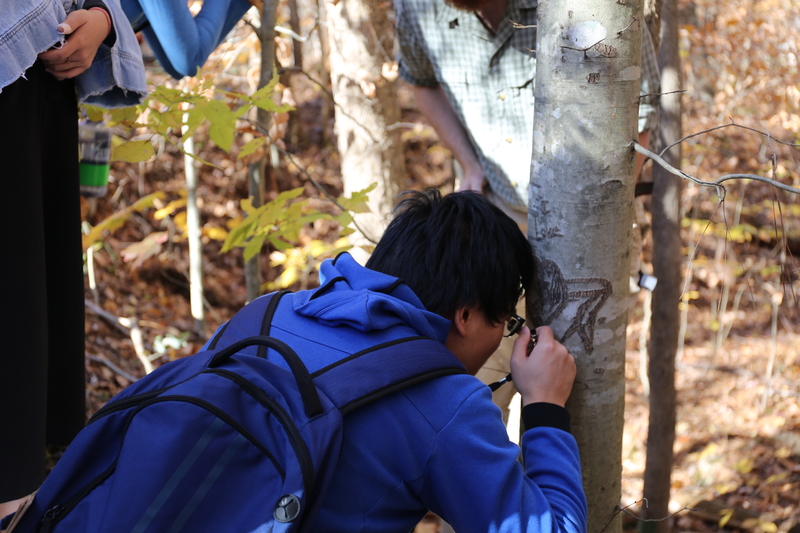 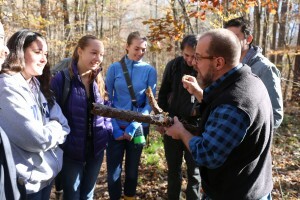 On November 19th the Lutzoni Lab hosted a lichen field trip for the “Wild Ones,” an undergraduate natural history club at Duke. 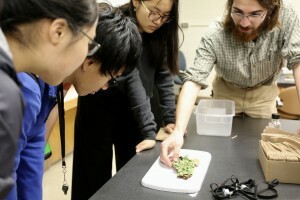 Before heading out to the field, we took a few minutes in the lab to introduce some basic concepts in lichen biology. 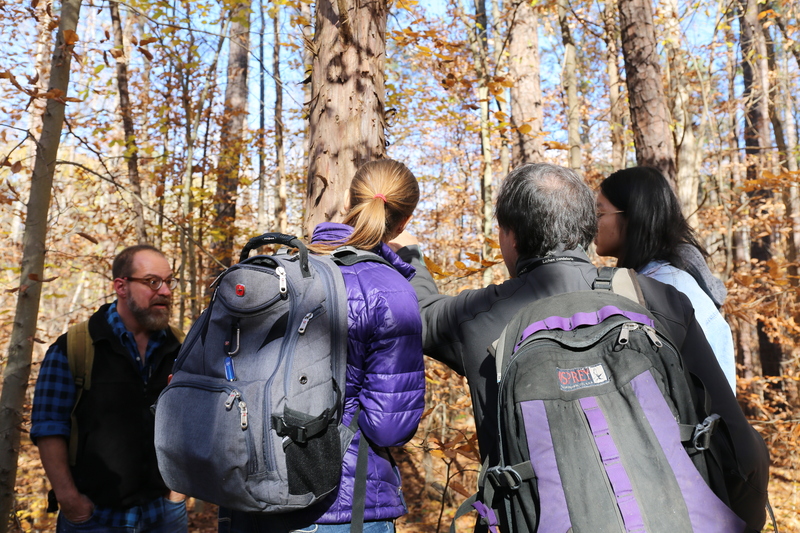 We then gathered at Johnston Mill Preserve, a beautiful property owned by the Triangle Land Conservancy.